View all the Ting plans that work with the Samsung Galaxy Note 8. Compare Ting plans that are compatible with the Samsung Galaxy Note 8 using our tool below. This video details everything we can expect to see in the upcoming Samsung Galaxy Note 8. Hands-on the recently launched Samsung Galaxy Note 8. 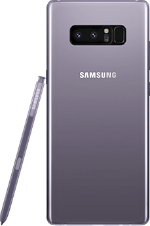 Starting at $930, the Note 8 is one of the most expensive and feature-packed smartphones on the market. We wouldn't blame you if you were disappointed by the Galaxy Note 7 last year. Everybody was frustrated and saddened by the surprisingly low quality of that phone. We also wouldn't be surprised if you were doubtful about the potential quality of the Galaxy Note 8. After all, Samsung messed up with the previous model so badly. What are the chances that they would recover and learn from their mistakes? It turns out, Samsung did exactly that and did it quite well. We got our hands on an early release version of the Galaxy Note 8 for this review. Thankfully, we're happy to report that it is a major comeback for this phone company. While the price is still a little high compared to other models of this type, we do think that it is more than worth checking out if you're a fan of past Samsung phones. When a new Samsung phone is released, the biggest buzz surrounding it is how it looks. This phone company rarely lets down its customers with an ugly or difficult-to-use phone. We're happy to say that the Galaxy Note 8 delivers on this front. It is among the most stunning and handsome smartphones on the market today. 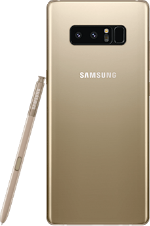 It is an improvement over the somewhat unattractive and ungainly Galaxy Note 7. Now, everything isn't perfect with this phone. While the smart design ensures that it isn't much bigger than phones with a 5.5-inch screen, we found the overall length and width to be a little awkward with this phone. Those who want a phone that slips easily in and out of their pocket will be at a loss with this model. That said, it is perfect for those who carry their phone in a purse or a bag. Another problem comes with the trademark fingerprint scanner. Samsung placed it right next to the camera on the back of the phone. While we can understand this design decision, it does make the scanner hard to reach. Even worse, it can cause you to repeatedly touch the camera lens and smudge it with oil and fingerprints. Beyond these issues, it is a great new design that should appeal to any Samsung fan. The biggest surprise on this model is the heavily updated camera that finally makes Samsung phones an excellent choice for photography fans. They installed a double-camera lens on this model that takes the phone out of the Stone Age and makes it worth using. For the first time, you get both a wide-angle and a telephone lens on a Samsung phone. As a result, you can zoom quite quickly without getting that blurry effect that was so common on other Samsung models. Even better, you can add a simple field of depth to your shots that make them look more professional. While your camera phone obviously can't replace a real high-quality camera when it comes to producing great images, you can take great selfies and nature shots quite quickly and accurately. Another fun option with this camera was that you could add stickers and other colorful decorative elements to each shot. While this is a rather lightweight aspect that won't appeal to serious photography fans, it is perfect for the Snapchat addict who wants to show off their best selfies. The only complaint we have with the camera on this phone is that it needs a higher than average level of light to take great shots. Beyond that, it's as good as it gets for Samsung. The display of any smartphone is among the most important things to consider when making a purchasing choice. With the Galaxy Note 8, we are happy to find that the screen is among the best on the market. We've already talked quite a bit about the clever design of the 6.3-inch screen. However, we also fell in love with its Quad HD + Super AMOLED screen from the first moment we laid eyes on it. Unlike the Galaxy Note 7, this screen is a vivid, bright, and colorful one that makes this a dazzling and enjoyable model to use for extended periods. When surfing the web, we found that the pages displayed correctly and without any loss in quality. Beyond this improvement in clarity, we also found that the screen brightness was very satisfying and made it very easy to view and edit photos of all types. That said, the most exciting element of this display has to be the dual screen feature known as App Pair. With this useful option, you can load two of your apps at the same time. Imagine the fun of using Facebook while also doing Sudoku at the same time! We haven't run into many options like this on other phones and think it could be a game changer for the industry. So far, we've mostly talked about aesthetic features of the Galaxy Note 8. However, it is important to take a look at the engine powering this beauty. While we can't say that it's the fastest or most powerful phone on the market, we were quite happy with the octa-core 10 nm processor at the heart of this machine. This processor was the same one in the earlier S8 phone model. As a result, it had little to no slow down and ran into very few performance issues. We were able to run pretty heavy-duty apps without it slowing down. Even with App Pair, there was almost no problem. As a result, we can say we were more than satisfied with how this tasty little phone operated when compared to most of its compatriots on the market today. That said, we also gauged its speed against the latest iPhone and found that Apple's trademark phone still runs better than the Samsung. The performance difference was much smaller than it has been in the past, though. In fact, we're willing to bet that most people won't even notice the difference. That said, we couldn't fairly review the Galaxy Note 8 without noting this concern. Another important performance issue that shouldn't be ignored is the power of the Samsung battery. It comes with a 3,300 mAh model and is one of the largest and most powerful batteries on the market today. As a result, it is quite easy for the Galaxy Note 8 to be on pure battery power for a day or more without having to charge. In fact, it is possible to watch multiple movies in a row on the phone and only lose a minimal amount of power. One battery feature that we had mixed feelings on was the wireless battery charging capability. It is a nice feature to add to the phone because it gives you the chance to increase your power from just about anywhere. We mainly found it excellent for people who were constantly on the go, such as builders or home health aides who had to travel to multiple houses during the day. However, we thought that leaving out a charging dock was a mistake that Samsung could have easily avoided. Asking your customers to pay nearly $40 more for a dock is kind of a kick in the head after spending so much on the phone itself. While it's not a deal breaker for us, it is likely to be one for people who simply don't have that kind of money to spend. One of the biggest deals with any Galaxy Note fun is the quality of its pen. The major bummer about the Galaxy Note 7 was its weak stylus and the fact that it didn't live up to the kind of quality that we expect from Samsung. That's why we're so happy to say that the new Samsung Galaxy Note 8 has the best stylus on the market today. When comparing it to past models of the Note, it was easy to see just how much Samsung had improved this S Pen. For example, it came with a 0.7 mm nib that created some of the most precise notation and writing we've ever seen on a smartphone. It was quite easily the most accurate stylus we've seen on any Samsung model. Another cool feature of this stylus was the ability to write on the phone when the display is off. As a result, you can use your phone to take all kinds of notes, including shopping lists. Amazingly, you can write up to 100 pages of notes on the screen and save them on your phone indefinitely. All of this can be done without ever turning on the phone! Another nice element of the S Pen is its easy gif creation mode. Simply write your note in Live Messages, and it will automatically turn it into an animation. Even better, you can use the S Pen to translate different languages. As a result, you won't have to fiddle around with Google Translate anymore. Instead, you can just highlight the text with your stylus and hit the translate button to get started. Facial recognition is a surprising feature of the Galaxy Note series of phones. It seems almost sci-fi to have this kind of feature on a cell phone, but it has grown more popular and prevalent than ever. While the scanner on the Note 8 is nothing that hasn't been on past models, it has been improved and slightly tweaked when compared to the less effective Note 7 version. When your Note 8 is in locked mode, all you have to do is raise the phone up to your eyes to open it up. Using this system was quite smooth and straightforward for us to handle. We were particularly impressed with how quickly the phone unlocked when we used this system. In past models, there was sometimes a pause or even a lack of recognition that drove other users and us a little bonkers. The best part about this hardware is that it seems impossible to trick. We tried scanning multiple sets of eyes with it and couldn't get it to budge. After trying out various models in this way, we didn't trick a single one even once. 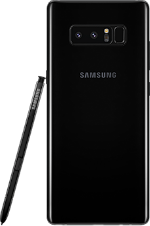 As a result, we think it is safe to say that this hardware works very well and is an excellent choice for the Samsung Galaxy Note 8. One Major Problem: No Oreo! Shockingly, Samsung neglected to install the newest Android operating system on the Samsung Galaxy Note 8. While the older operating system isn't necessarily bad, the failure to integrate Oreo is a major surprise and one that may scare away many potential buyers. However, this action is nothing new with Samsung, who have yet to install Oreo on its phones. Does this mean the Samsung Galaxy Note 8 should be skipped? Not quite. While we are surprised at Samsung's decision, we think that the overall quality of the phone does supersede the lack of Oreo. However, those who prefer their phone for a majority of their online usage may find the older Android system to be a waste of their time. So what's the final verdict on the Galaxy Note 8? Is it worth the price and dealing with the big size? Absolutely! 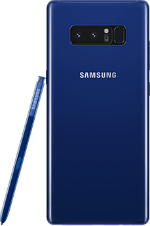 In fact, we'll go one step further here and say that the Galaxy Note 8 is one of the best phones that Samsung has ever made. They took the lessons learned from last year's disaster, avoided any serious new mistakes, and hit one out of the park. We are particularly fans of the large screen and the way the bezel-free design helps keep it from getting too big. Paired with the S Pen, it is one of the best displays of its type on the market today. The only major problem we can see with this phone is its large size. Not everyone is going to enjoy having a phone that can just barely fit into most pants pockets. Beyond the large size of the phone, the only major concern with this phone is its price. It may be hard for even the biggest Samsung fan to sink this kind of money into a phone. However, those who are willing to invest may be surprised at just how much they love this model. They may end up getting a phone that lasts them for 10-15 years. It is that good.